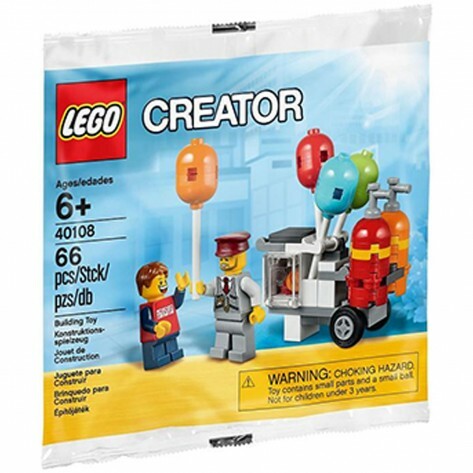 LEGO Creator Balloon Cart 40108 PolyBag. Push along the LEGO® Balloon Cart and sell the colorful balloons. Open the compartment to get balloons that need to be inflated. Pretend to inflate the balloons using the helium-style tanks. Help the smiling boy to choose his favorite color. Makes a great gift for all LEGO fans. Includes 2 minifigures: a balloon seller and a boy.